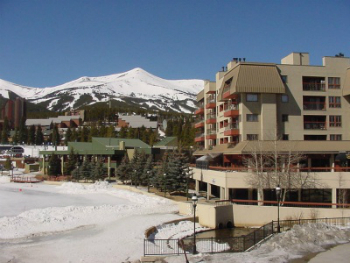 The Village at Breckenridge condos for sale are clustered around the base of Peak 9 at the Breckenridge Ski Resort. They are found throughout about a half dozen, stucco buildings with a central courtyard and paths around it on several levels. 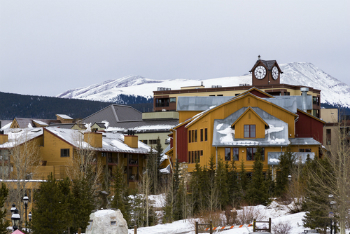 All have lodging on the upper floors, and several have commercial, restaurant and other guest services on the ground floor.